A rare Persian Leopard. Photo by Patrick Bentley/SolarAid Photos CC 2.0. This post by Todd Reubold was originally published on Ensia.com , a magazine that highlights international environmental solutions in action, and is republished here as part of a content-sharing agreement. High in the mountains of northeastern Iraq’s Kurdistan region, wildlife conservationist Hana Ahmed Raza and a team of researchers with the non-governmental organization Nature Iraq  are working to protect the ghost-like Persian leopard. A sub-species of the broader family of leopards  roaming across Africa and Asia, the Persian leopard (Panthera pardus saxicolor) numbers between 800 and 1,000 individuals, according to the International Union for Conservation of Nature and is under threat due to poaching, habitat loss and fragmentation, and diminishing prey. Why is this particular species of leopard so important? 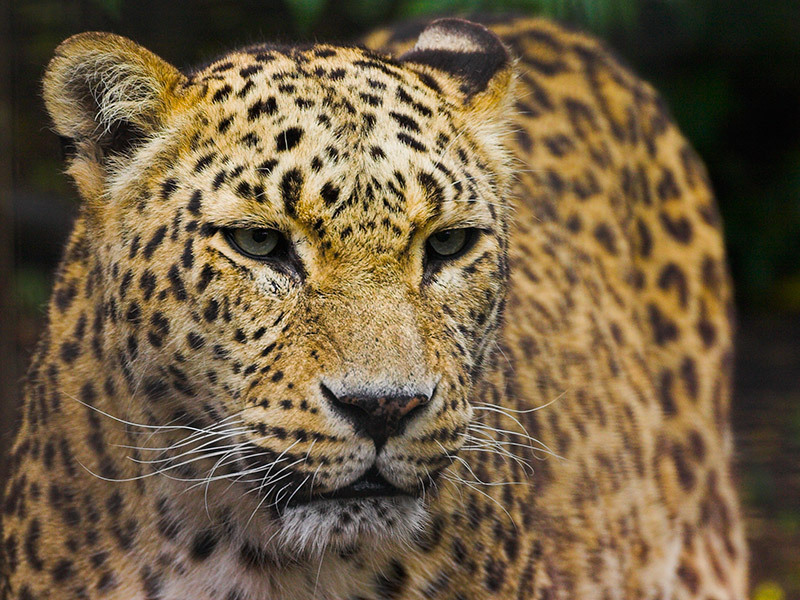 As Raza points out in the video, “The Persian leopard is the only remaining predator in the [Kurdistan] ecosystem,” and the health of the ecosystem depends on the presence of large predators to thrive. The chances of actually seeing a Persian leopard in the wild are pretty much slim to nil, so when the team realizes in the video that they’ve captured an image of a big cat on a camera trap, Raza erupts with pure joy. A biologist by training Raza is passionate about showing another side of her country that isn’t just “war and conflict.” She has been involved in wildlife field surveys and educational outreach programs with Nature Iraq for the past six years. She has also been a member of the IUCN/SSC Cat Specialist Group  since 2013 and has worked on efforts to establish protected areas for wildlife in the Kurdistan region. Sebastian Meyer , an award-winning photographer and filmmaker, produced this video for Ensia. His work has been published in numerous international publications, including TIME, Sunday Times Magazine, FT Magazine, Washington Post and The New York Times. Meyer has made films for National Geographic, PBS, CNN and HBO. From 2009 to 2014, Meyer was based in northern Iraq where he co-founded Metrography , the first Iraqi photo agency. Todd Reubold  is the publisher, director and co-founder of Ensia.